The Federal Reserve made a decision to hold interest rates steady and indicated that no more hikes will be coming for 2019. 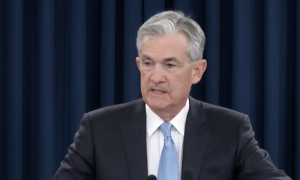 Federal Reserve Chairman Jay Powell addressed the media saying that the Chinese and European economies have slowed ‘substantially’. Despite low U.S. employment, Powell explained to the media that the U.S. has the lowest labor force participation rate among developed nations. There were four interest rate hikes in 2018. The Federal Reserve committee intends to conclude the reduction of its aggregate securities holdings in the System Open Market Account (SOMA) at the end of September 2019. Essentially, the Federal Reserve is ending quantitative tightening in September 2019. Furthermore, the committee intends to slow the reduction of its holdings of Treasury securities by reducing the cap on monthly redemptions from the current level of US$ 30 billion to US$ 15 billion beginning in May 2019. In a March 20, 2019 statement called “Balance Sheet Normalization Principles and Plans”, a portion of it reads, “The Committee intends to continue to allow its holdings of agency debt and agency mortgage-backed securities (MBS) to decline, consistent with the aim of holding primarily Treasury securities in the longer run.